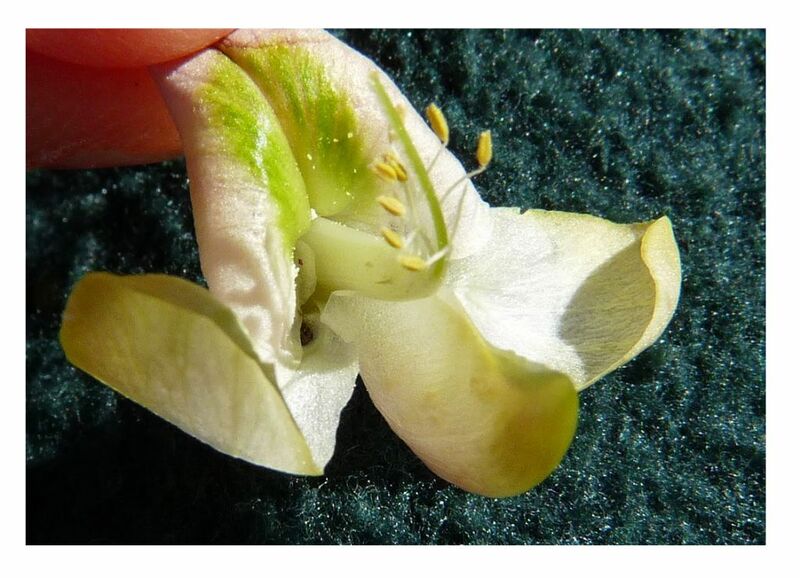 The classic pea flower has 5 petals: A banner petal at the top (I'm holding this one in the photo above); two wing petals (one on each side); and a keel (the bottom of a boat), composed of two petals, often fused. We're going to accept 5 separate petals as evidence of a pea flower, too. Some examples tomorrow. 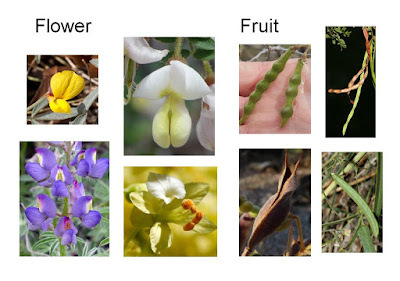 The classic pea fruit is a pod. Think snow pea pod or even green bean. Remember: The fruit is the thing with the seed(s). With peas, you have multiple seeds in each pod.